1. Pugh, MB (ed). Stedman's Medical Dictionary, 27th ed. Lippincott Williams & Wilkins, Baltimore, 2000. 2. 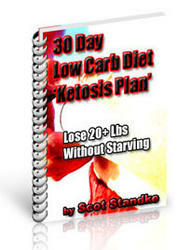 Stafstrom CE, Spencer S. The ketogenic diet. Neurology 2000;54:282. 4. Swink TD, Vining EPG, Freeman JM. The ketogenic diet 1997. Adv Pediatr 1997;44:297-329. 5. Geyelin, HR. Fasting as a method for treating epilepsy. Med Record 1921;99:1037-1039. 6. Wilder, RM. The effect of ketonemia on the course of epilepsy. Mayo Clin Bull 1921;2:307. 7. Peterman, MG. The ketogenic diet in epilepsy. JAMA 1925;84:1979-1983. 8. Huttenlocher, PR. Ketonemia and seizures: metabolic and anti-convulsant effects of two ketogenic diets in childhood. Pediatr Res 1976;10:536-540. 9. Livingston S, Pauli LL, Pruce I. Ketogenic diet in the treatment of childhood epilepsy, Dev Med Child Neurol 1977;19:833-834. 10. Sills MA, Forsythe WI, Haidukevych D, MacDonald A, Robinson M. The medium chain triglyceride diet and intractable epilepsy. Arch Dis Child 1986;61:1168-1172. 11. Kinsman SL, Vining EPG, Quaskey SA, Mellits D, Freeman JM. Efficacy of the ketogenic diet for intractable seizure disorders: review of 58 cases. Epilepsia 1992;33:1132-1136. 12. Schwartz RH, Eaton J, Bower BD, Aynsley-Green A. Ketogenic diets in the treatment of epilepsy: short-term clinical effects. Dev Med Child Neurol 1989;31:145-151. 13. Freeman JM, Kelly MT, Freeman JB. The Epilepsy Diet Treatment: An Introduction to the Ketogenic Diet, 1st ed. Demos, New York, 1994. 14. Vining EPG, Freeman JM, Ballaban-Gil K, Camfield CS, Camfield PR, Holmes GL, Shinnar S, Shu-man R, Trevathan E, Wheless JW. A multicenter study of the efficacy of the ketogenic diet. Arch Neurol 1998;55:1433-1734. 15. Freeman JM, Vining EPG, Pillas DJ, Pyzik PL, Casey JC, Kelly MT. The efficacy of the Ketogenic Diet-1998: a prospective evaluation of intervention in 150 children. Pediatrics 1998;102:1358-1363. 16. Hemingway C, Freeman JM, Pillas DJ, Pyzik PL. The ketogenic diet: a 3- to 6-year follow-up of 150 children enrolled prospectively. Pediatrics 2001;108:898-905. 17. Hassan AM, Keene DL, Whiting SF, Jacob PJ, Champagne JR, Humphreys P. Ketogenic diet in the treatment of refractory epilepsy in childhood. Pediatr Neurol 1999;21:548-552. 18. Bergqvist AG, Chee CM, Lutchka LM, Brooks-Kayal AR. Treatment of acquired epileptic aphasia with the ketogenic diet. J Child Neurol 1999;14:696-701. 19. Katyal NG, Koehler AN, McGhee B, Foley CM, Crumrine PK. The ketogenic diet in refractory epilepsy: the experience of Children's Hospital of Pittsburgh. Clin Pediatr 2000;39:153-159. 20. DiMario FJ Jr, Holland J. The ketogenic diet: a review of the experience at Connecticut Children's Medical Center. Pediatr Neurol 2002;26:288-292. 21. Nordli DR Jr, Kuroda MM, Carroll J, Koenigsberger DY, Hirsch LJ, Bruner HJ, Seidel WT, De Vivo DC. Experience with the ketogenic diet in infants. Pediatrics 2001;108:129-133. 22. Kossoff EH, Pyzik PL, McGrogan JR, Vining EPG, Freeman JM. Efficacy of the ketogenic diet for infantile spasms. Pediatrics 2002;109:780-783. 23. Caraballo R, Tripoli J, Escobal L, Cersosimo R, Tenembaum S, Palacios C, Fejerman N. Ketogenic diet: efficacy and tolerability in childhood intractable epilepsy. Rev Neurol 1998;26:61-64. 24. Panico LR, Rios VG, Demartini MG, Carniello MA. The electroencephalographs evolution of a group of patients on a ketogenic diet. Rev Neurol 2000;31:212-220. 25. Kankirawatana P, Jirapinyo P, Kankirawatana S, Wongarn R, Thamanasiri N. Ketogenic diet: an alternative treatment for refractory epilepsy in children. J Med Assoc Thailand 2001;84:1027-1032. 26. Coppola G, Veggiotti P, Cusmai R, Bertoli S, Cardinali S, Dionisi-Vici C, Elia M, Lispi ML, Sarnelli C, Tagliabue A, Toraldo C, Pascotto A. The ketogenic diet in children, adolescents, and young adults with refractory epilepsy: an Italian multicentric experience. Epilepsy Res 2002;48:221-227. 27. Maydell BV, Wyllie E, Akhtar N, Kotagal P, Powaski K, Cook K, Weinstock A, Rothner AD. Efficacy of the ketogenic diet in focal versus generalized seizures. Pediatr Neurol 2001;25:208-212. 28. Freeman JM, Vining EPG. Seizures decrease rapidly after fasting: preliminary studies of the ketogenic diet. Arch Pediatr Adolesc Med 1999;153:946-949. 29. Seidel WT, Davis K, Lin MI, Mitchell WG, Chen LS. 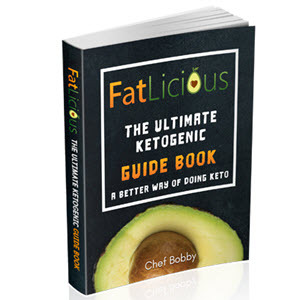 Ketogenic diet: seizure outcome and parental reports. Epilepsia 1997;38 (Suppl 8):196-197. 30. Pulsifer MB, Gordon JM, Brandt J, Vining EPG, Freeman JM. Effects of ketogenic diet on development and behavior: preliminary report of a prospective study. Dev Med Child Neurol 2001;43:301-306. 31. Kossoff EH, Krauss GL, McGrogan JR, Kreman JM. Efficacy of the Atkins diet as therapy for intractable epilepsy. Neurology 2003;61:1789-1791. 32. Janaki S, Rashid MK, Gulati MS, Jayaram SR, Baruah JK, Saxena VK. A clinical electroencephalographs correlation of seizures on the ketogenic diet. Indian J Med Res. 1976;64:1057. 33. Ross DL, Swaiman KF, Torres F, Hansen J. Early biochemical and EEG correlates of the ketogenic diet in children with atypical absence epilepsy. Pediatr Neurol 1985;1:104-108.